As stated in my previous post, the journey has begun as I pursue God’s direction for the next phase of my life. As of right now, however, God has placed me in the city of Camden, NJ, and what a trans­formational experience it has been already. The city of Camden has suffered over the last several years as a large number of jobs have been removed. This in turn has caused extreme poverty, creating a difficult environment for children to grow up in. This summer is an opportunity for me to minister to these children and hopefully demonstrate to them that they are indeed worth something, and that they can be the transformation in their communities. While I have been here for just a short time, I have been amazed and appalled at the conditions others are forced to live in even here within this country. I am encouraged, however, by the hearts of the children. Personally, my time here has grown me as I have had to wrestle with the social issues presented, as well as learn to interact with and love children who come from a very different background than I have. Many of these kids come from abusive homes, and for them coming to camp may be the only food they see in a day and the only love they experience. Ultimately, it is an honor and a privilege to be here at all, and I am excited as to the ways in which God is moving. Please pray for the children and the people of Camden. 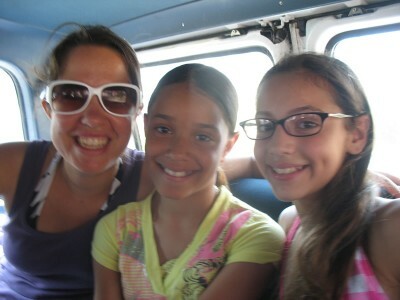 To learn more about what the organization UrbanPromise is doing to help, visit http://www.urbanpromiseusa.org.